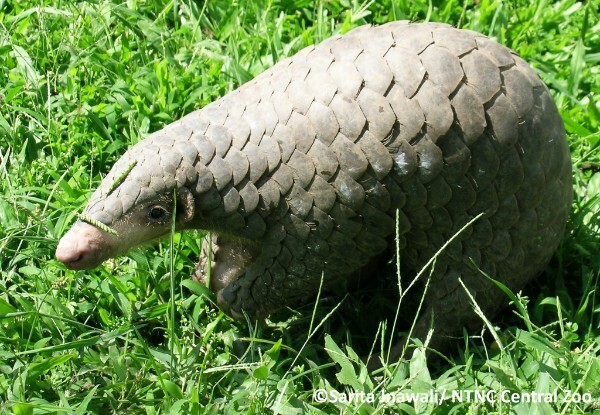 Chinese Pangolins are found in a wide range of habitats including primary and secondary tropical forests, bamboo forests, grasslands and agricultural fields in Asia. They are veritable â€œforest guardsâ€ that mainly eat termites and ants. Because of pangolins, many trees are protected from being damaged by termites. However, although they are helpful assistants of humans, pangolins have not only been sufficiently protected. Many of them are even killed due to the greed and acquisitiveness of some illegal parties and become â€œdishes on the menuâ€. Earlier this month, the Customs in Jiangmen, Guangdong Province in China seized a total of 414 boxes of smuggled frozen pangolins in a single operation. The 2,674 pangolins were found with scales stripped off. It is the largest recorded case of pangolin smuggling seized by Chinese Customs in recent years. In fact, Chinese pangolins are animals under second-class national protection in China, as well as under â€œConvention on International Trade in Endangered Species of Wild Fauna and Floraâ€ Appendix II. However, pangolins are vulnerable to illegal trades because pangolin scales can be used as traditional medicine and eating their meat is thought to be good for health in some areas. The number of pangolins has decreased dramatically in recent years and they are already extinct in China because of over-hunting. Meanwhile, according to the IUCN Red List of endangered species, the conservation status of Chinese pangolin has deteriorated from â€œendangeredâ€ in 2008 to â€œcritically endangeredâ€ in 2014. Critically Endangered Chinese pangolins were released back into the natural habitat at Bhaktapur. 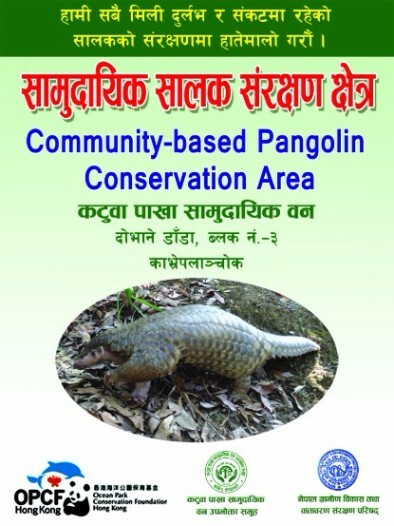 Poster on declaration of Pangolin conservation area in Katuwa pakha community forest. 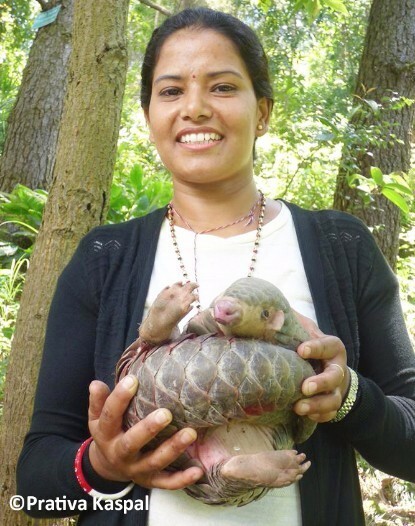 In the year of 2014-2015, the Foundation funded Ms. Prativa Kaspal from Nepal Rural Development and Environment Protection Council to conduct the â€œCommunity Conservation Programs for the Conservation of the Chinese Pangolin Manis pantaductyla in Central Nepalâ€. According to her research, local pangolins mainly faced forest fire, deforestation, grazing, road construction, hunting and other threats. The research team also prepared a questionnaire and interviewed a total of 100 people including local hunters, traditional healers, local inhabitants and other stakeholders. Only 6% thought Chinese pangolins played a positive role in the ecosystem and 38% of the respondents are not aware of the contribution of Chinese pangolins. 56% of the respondents even believed that pangolins are harmful to the ecosystem. These findings showed that there was an urgent need to develop community education programmes in Nepal. Therefore, in the year of 2015-2016, OPCFHK continues to follow up and fund another project of Ms. Prativa Kaspal - â€œScaling up the Chinese Pangolin Conservation through Education and Community-based Monitoring Programs to Combat Pangolin Trade in Sindhupalchowk District, Nepalâ€. In fact, protection for the Chinese pangolin is not only limited to conservation organisations, but also needs everyoneâ€™s participation. For example, we can refuse to purchase any products made of rare wild animals or eat protected wild animals in our daily lives. When we discover illegal trading activities, we need to report the case to law enforcement agencies immediately. Although humans stand at the top of the food chain, we must not over-hunt other protected rare animals just out of our selfish desires. In addition, the relationships among different species are closely intertwined. Over-hunting or over-killing some certain species will definitely have a negative impact on biological diversity. For example, if there are no pangolins to guard forests anymore, trees will be more prone to attacks by termites. A corresponding reduction of forest areas will lead to soil erosion and other geological disasters. Ultimately we will suffer these painful consequences. Let us join hands to protect the nature and conserve rare animals together because saving them means saving ourselves. To raise public awareness and interest in local biodiversity, the Environment Bureau, the Agriculture, Fisheries and Conservation Department (AFCD), local universities, non-government organisations and green groups jointly organised the first â€œHong Kong Biodiversity Festival 2015 - Cherish Natureâ€ (HKBF 2015). The Foundation was honored to be one of the partnering organisations. Running for three months, the HKBF 2015 offered over 120 programmes and activities in four main categories, namely Special Activity Series, Exhibition and Seminar Series, Workshop and Nature Tour Series as well as Competition and Volunteer Programme Series. These activities were suitable for families and individuals. 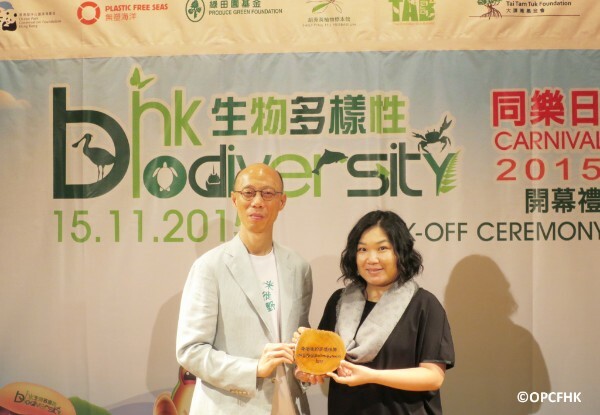 The campaign ended with the â€œHong Kong Biodiversity Carnival 2015â€ on the 15th of this month. During the Carnival, we held a workshop booth at the Kowloon Park Piazza, presenting a fascinating game which linked the â€œJengaâ€ game with the concept of biodiversity. We also prepared characteristic props to teach the public how to distinguish male horseshoe crabs from female ones. The biodiversity knowledge of participants was enriched through activities. We also encourage them to share conservation messages to their community and friends. Mr. Wong Kam-sing, JP, the Secretary for the Environment also visited our booth and played the â€œJengaâ€ game. 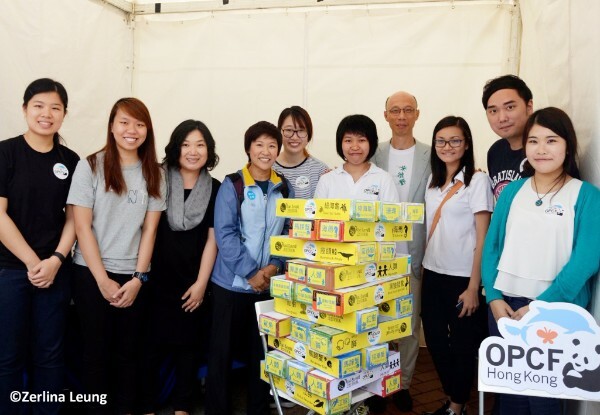 OPCFHK staff and volunteers took group photos with Wong Kam-sing, the Secretary for the Environment. Wong Kam-sing, the Secretary for the Environment, presented a souvenir to Josephine Wong, our Deputy Director, as recognition. 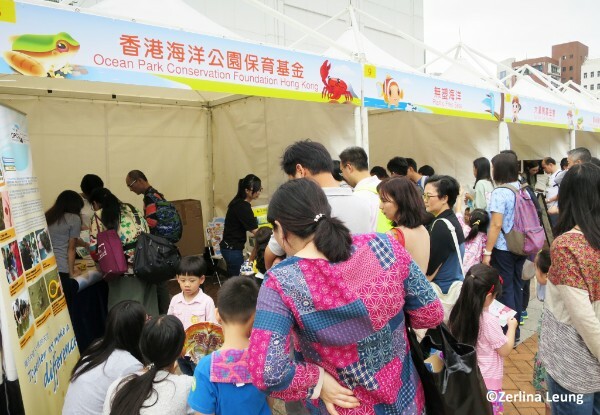 In addition to a variety of activity booths, the organiser also prepared other programmes, such as public lectures related to family fun and cultural legacies, the conservation themed drama and puppet show, bird-watching guided tours and guided tree walks. A series of activities contributed to enhancing public awareness and interest in biodiversity. 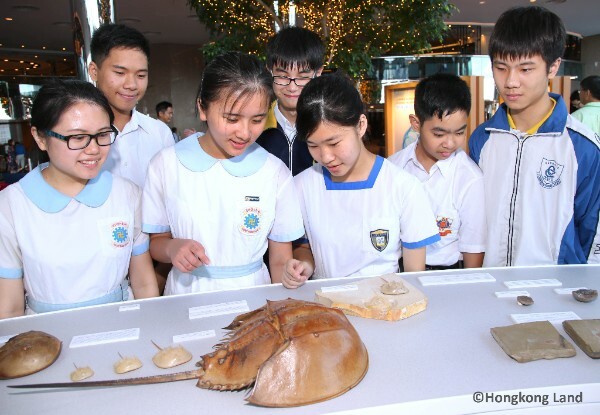 The â€œJuvenile Horseshoe Crab Rearing Programmeâ€, jointly organised by the Foundation and the City University of Hong Kong (CityU) in its seventh year, has become one of the iconic local horseshoe crab conservation projects. Hongkong Land officially announced its support for the Programme and held the launching ceremony at the Rotunda, Exchange Square on 17 November 2015. 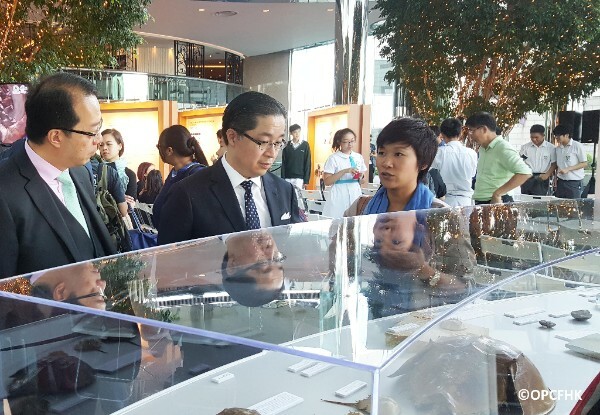 The exhibition held at Rotunda from 17 to 27 November also offered the community an opportunity to learn about the horseshoe crab â€“ from its anatomy and behaviour, conservation and ecological issues, to scientific and medical value of the indigenous species. The public could also closely watch and observe this ancient creature â€œhorseshoe crabâ€, which has existed on the earth for four hundred and seventy-five million years already. Group photo of officiating guests and student representatives. Ms. Joe Cheung, Assistant Manager of Community Education, OPCFHK introduced the exhibits on display. Representatives from the Foundation and Hongkong Land, together with students from participating schools, joined together to commemorate the meaningful programme. 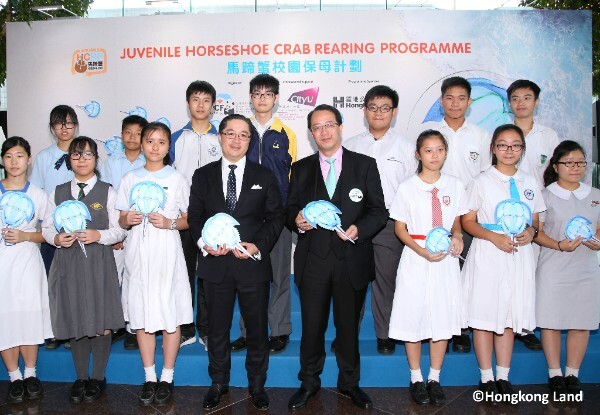 By offering opportunities to rear horseshoe crabs that may disappear in Hong Kong, we hope to highlight the importance of conservation of horseshoes crabs, local biodiversity and natural habitats. We also aim to raise awareness on environmental protection among the public in Hong Kong. 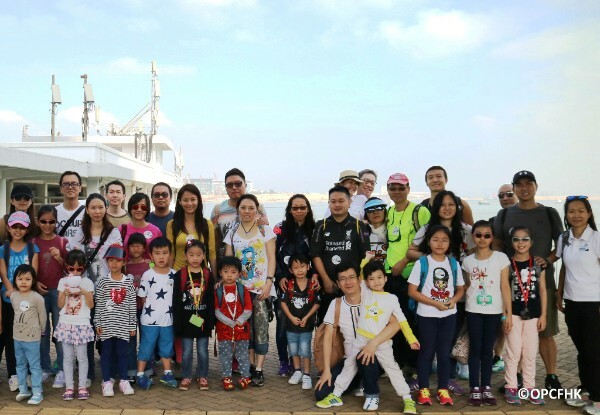 On November 22, over 40 members of â€œFriends of the Foundationâ€ went sailing to watch Chinese white dolphins. As soon as we reached the waters near Tung Chung and Tai O, we saw a pink Chinese white dolphin jumping actively. Afterwards, more and more dolphins swam around, and some vigorous ones even jumped up with their backs patting to the water surface! Although we just observed them from a distance, we still felt satisfied to see them being so energetic. In fact, we can protect Chinese white dolphins in our daily lives. For example, when we go to the beach or do water sports, especially near coral areas, we should try to avoid using shampoo, shower gel and sunscreen so that untreated chemicals will not be directly poured into the sea. Heartfelt thanks to â€œFriends of the Foundationâ€ for supporting our conservation work. Every staff in OPCFHK strives to spread conservation messages to a wide audience. As our Chairlady, Ms. Judy Chen is speaking up for our animal friends who cannot speak up for themselves, in her weekly column on Metro Daily News. Check out our website for the past issues.